Varicose is the term used to describe veins that have become gnarled or enlarged. All veins can become varicose but the veins in the legs and feet are most commonly affected due to the extra pressure on the veins in the lower body caused by standing and walking upright. They are dark purple or blue in color and can appear twisted or bulging. 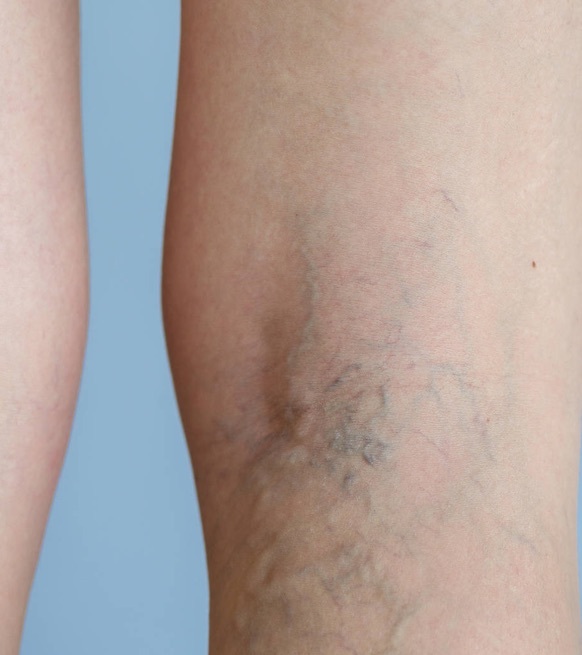 In some instances, mild varicose veins or spider veins are a concern as they are unsightly but at other times they can cause aches, pain, and discomfort and can lead to more serious health problems or be a sign of a higher risk of circulatory problems. What is involved with minor varicose vein removal? If varicose veins are painful or unsightly they can be removed through a number of different non-surgical and surgical methods, depending upon the size and severity including. Vein stripping. This involves tying a vein off and removing it through small incisions in the skin. Where is it done? Your varicose vein removal will be performed at Finesse Cosmetic Surgery’s consulting and treatment area located the brand-new Honeysuckle Day Hospital in Newcastle, a fully licensed and accredited day hospital which specializes in cosmetic surgery. Length of treatment: This will depend on the number and size of veins to be treated and the method of treatment used. Costs will vary depending upon the number of veins to be treated, the type of treatment and the type of anesthesia. Dr. Verma will discuss this with you at the time of your consultation. Who is a good candidate for minor varicose vein removal? If you have varicose or spider veins that are unsightly or painful, you are likely eligible for varicose vein removal. During your consultation Dr. Verma will take a medical history and examine your veins, discuss your concerns and the severity of your symptoms and outline the different treatment options suitable for your individual needs ensuring your understanding of the condition as well as the different methods of treatment available and expected recovery time. This is dependent upon the type of treatment and the location of the veins. Surgery will be performed under general anaesthesia only, with local anaesthesia injected additionally into area for pain relief. What are the risks and complications of minor varicose vein removal? With any surgical procedure, there are risks involved and most problems are easily treated and settle with time. Generally speaking, surgery is quite safe. What are the side effects of minor varicose vein removal? You will be provided with detailed instructions by Finesse Cosmetic Surgery with regards to care of your sutures, wounds etc. In some instances, you will be required to wear specially fitted compression stockings. This will be advised at the time of your initial consultation prior to your vein removal procedure. Downtime will vary dramatically according to the type of treatment with the most downtime incurred by vein stripping. Typically after a vein stripping procedure, you will need 2 weeks downtime. Results will vary according to the treatment method. This will be discussed at the time of your consultation. Dr. Verma will see you one week post the operation and then organize subsequent follow-ups according to how you recover. All routine follow up visit are bulk billed. Revision surgery for any complications carries an extra charge. Similar to your consultation visit (see above), Dr. Verma will be taking photographs of your veins in order to document healing during follow up visits. How long do the effects of minor varicose vein surgery last for? Varicose veins have a high recurrence rate of up to 60% 5 years after surgical removal. There is a lower incidence of recurrence from other methods. Dr. Verma will discuss this at the time of your consultation.